I received complimentary Magformers for the purpose of this review. 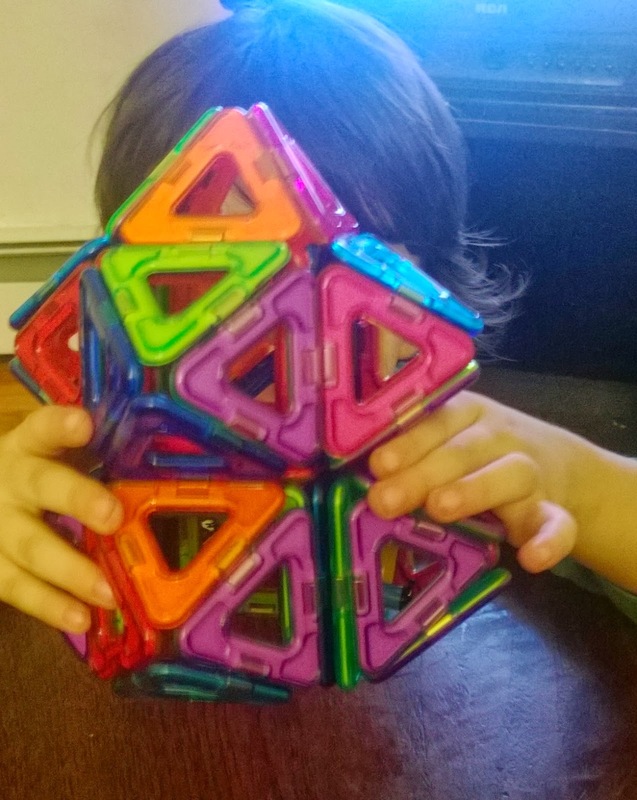 Magformers are magnet construction sets that are wonderful for brain development and creative play. Magformers use rare earth magnets called neodymium, which are the strongest magnets in the world. This is why these sets cost more money. 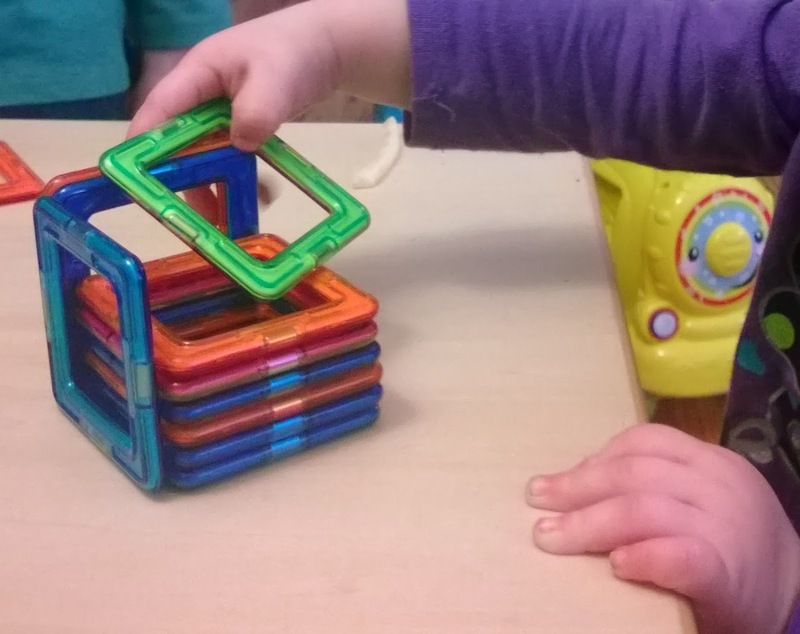 The Magformers never reject and always connect, which is great for children so they won't get easily frustrated. I know my son can get frustrated quickly if something he is building doesn't work out right. Magformers are fun and educational. 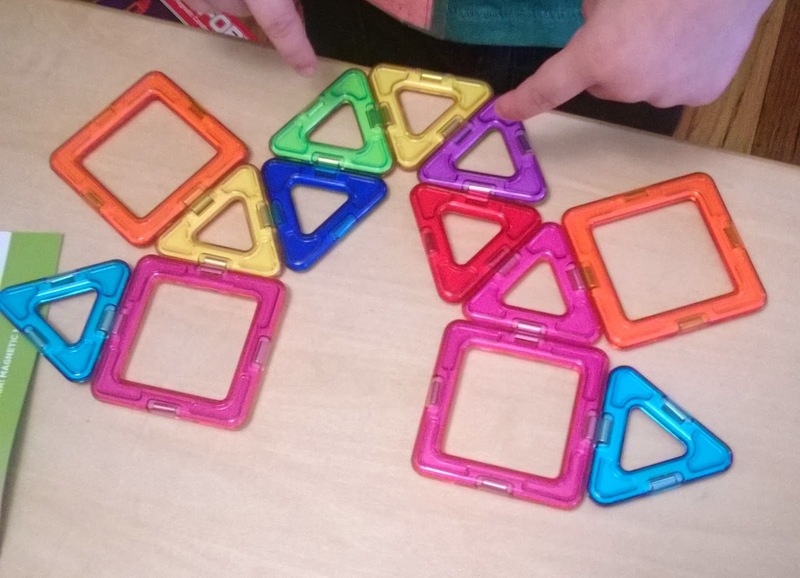 There are 14 shapes and 9 different colors. On the back of the boxes you can find some cool pull up tricks. This is where they show you what shapes to put together on a flat surface, then as you pull them up, they connect to make a really cool larger design. Magformers construction sets are for older kids but my 15 month old loved them. It's a fun way for the little one's to learn colors and shape names. My son who will be 5 in October received OT therapy at his school. He has some delays with his fine motor skills. I find any kind of building with blocks and magnets are great for him. He really enjoyed making his own designs as well as following the directions to make fun shapes. You can lay them flat and just play with the shapes, making all sorts of designs. Let the children's imagination run free. It is always fun to see what they come up with. The more sets you own, gives you more choices and shapes to choose from. We received the Rainbow Set, 62 Piece Set, Wow Set, and the Light Show Set. The Rainbow Set is a great starter set. It will leave you wanting more. Which is where the 62 Piece set is wonderful. It comes with nice size octagons. I personally liked this set the best. It would be a great holiday or birthday gift for any child. The Wow Set is cool too. It comes with two sets of wheels and one square with a little man attached. Inside the box there are large photo cards showing you all the different vehicles you can make. The Light Show Set is amazing. It comes with rechargeable lighted cubes. If the light runs out, you can use the USB cable that comes with the set to recharge it. Shut off the lights after making a design to see how the pretty colors look with the lights shining through. Overall, my son loves the Magformers and was just telling me we need to get more sets. I think he wants the Carnival Set next. Even when my children aren't playing with them, I find myself making things. You can like Magformers on Facebook and follow them on Twitter. Now for the exciting part! Magformers are offering a giveaway to win one of their awesome construction sets. Giveaway is open to ages 18+ and US Residents. 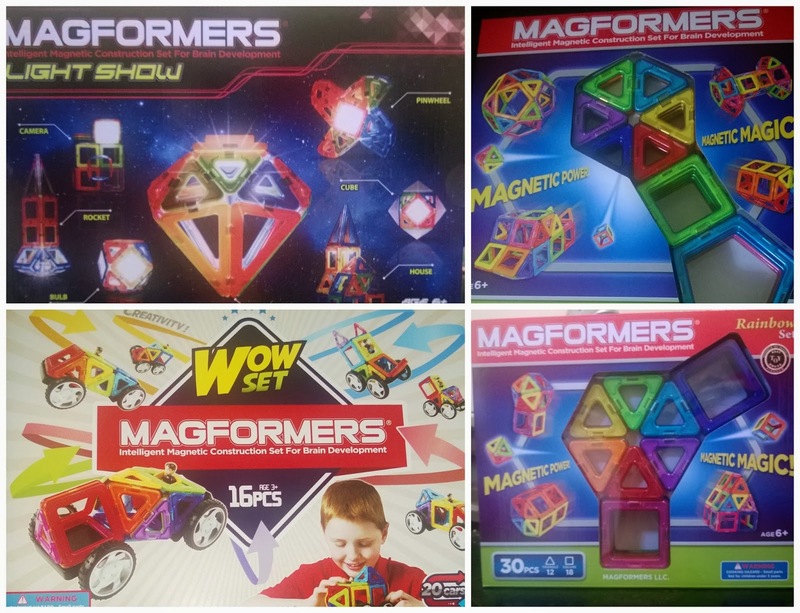 Like Magformers on Facebook and Follow them on Twitter for chances to win. Prize will be shipped from Magformers to the winner.